Known for its balance of lush greenery and incredible trails weaved into a concrete jungle, Singapore offers some good hiking getaways to take your mind away from city living. From scenic views to well-defined footpaths, there is an abundance of hiking spots across Singapore suitable for avid hikers, beginners and families. Besides its impressive skyscrapers and designer residential blocks, the city-state also preserves forested hills and swampy wetlands as part of its conservation efforts that also cater to the adrenal needs of outdoor folks. Fortunately, individuals who like to break a sweat during the weekends can consider visiting hiking spots such as Bukit Timah Nature Reserve, Macritchie Reservoir Park and Nature Trail, Upper Pierce Reservoir among others found on the island. In fact, there are hiking groups in Singapore that go on hiking trips across Singapore regularly. Along the trails, you may be able to spot some wild animals and plants during your trip to the nature reserves and park. Furthermore, constant efforts by the government and activist groups have helped to keep the parks and hills in Singapore safe and well-maintained. 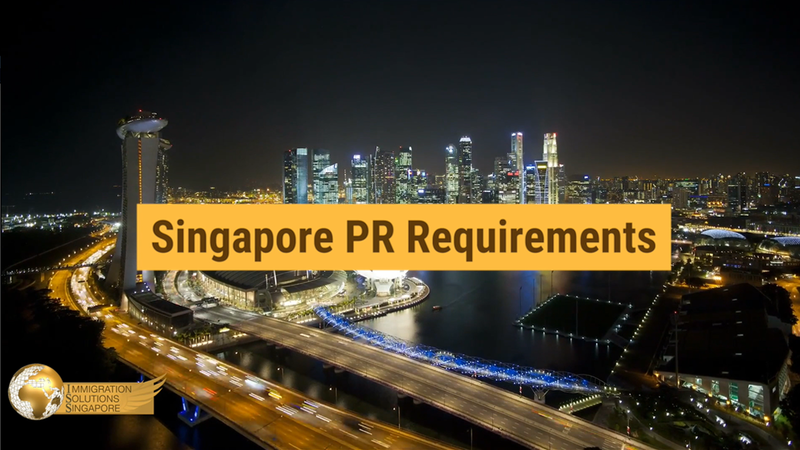 Despite its small size, Singapore has been successful in conserving natural environments and blend nature into city-living; its small landmass is still able to pack many choices for outdoor activities such as trail running, hiking, quarry-climbing and river kayaking. These outdoor activities offer both local and tourists to cast aside a sedentary lifestyle and soak up the sun, lace up your exercising gear and get active. There are plenty of outdoor shops where you can shop for all your gears in Singapore, from hiking boots and jungle-wear to utility backpacks and shades. If you are an avid outdoor enthusiast who likes to exercise and visit outdoor spots, keep reading the article further as we will be giving you more insight about the hiking spots in Singapore and some hiking tips when you decide to make the move to Singapore. Depending on your fitness levels, you can choose between easier hiking trails that are well-trodden, consistent and familiar or tougher ones that go as high as 164m marked with tricky terrain that goes from dry and sandy to wet and swampy. If you need more hiking information, you can even find materials online on websites such as those of hiking enthusiasts groups, forums and National Parks Board as well as libraries to prepare you for your hike. You can also join groups or communities on the various social media platforms to gather more information, make outdoor friends and be part of a larger like-minded community. One of the most popular hiking spots among locals, Bukit Timah Nature Reserve is the highest natural landmark in Singapore. With its diverse biodiversity and one of the remaining places in Singapore to have rainforests and untouched nature, you can enjoy a densely-forested trail around and across the hill marked with a myriad of terrains ranging from sand to rocky to swamp that connect the hill to other surrounding trails. With various levels of difficulty to choose from, you can explore the kampong trail or the dairy farm loop trail that cater to beginners and veterans. When hiking along Bukit Timah Nature Reserve, you will definitely give your calves a good workout as you hike your way towards the summit of Singapore’s highest peak through either the gentle upslope or the steep climb up. You may even get a chance to see wildlife such as the Sunda Pangolin, Blue Bronzeback Snake, Long-tailed macaque and various exotic birds and insects that populate our nature reserves. The hill also possesses a historical significance that goes back to the British military’s final stand against the Japanese army. Another hiking spot famous among locals, Macritchie Reservoir Park offers hikers and outdoor enthusiasts beautiful tropical scenery, a variety of wildlife and peaceful, secluded hiking paths. 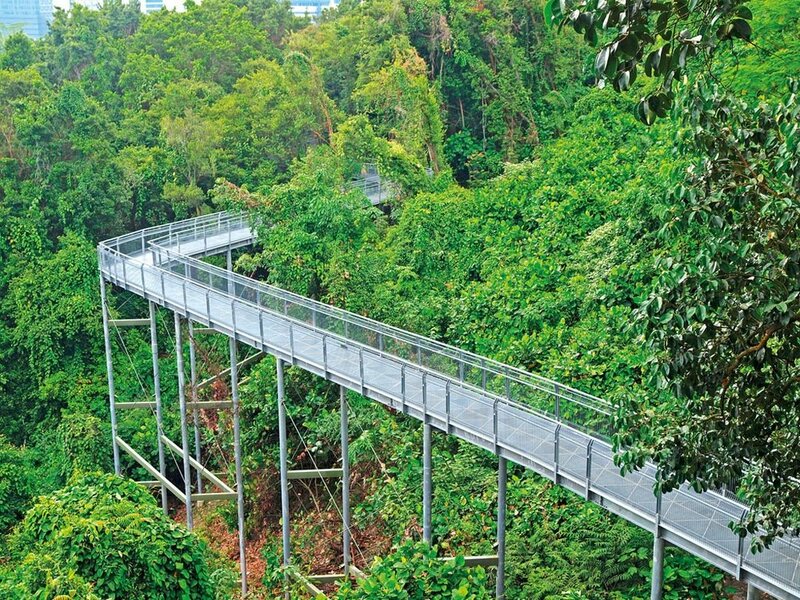 Boasting some of the best trails and exercise spots in Singapore, you can hike and make your way up to HSBC Treetop Walk, an aerial walkway that will give you an overview of the forest’s canopy. Stretching from Bukit Pierce to Bukit Kalang, you will be able to burn lots of calories and catch the breathtaking view that Singapore has to offer. If hills and trails in the city are not exactly your jive, take a short 15-minute boat ride out to one of Singapore’s last surviving fishing villages, the famous Pulau Ubin. With up to 1,020 hectares of land surface left largely untouched by Singapore’s rapid urban transformation, Pulau Ubin is a haven for lovers of lush greenery, village-living and an abundance of wildlife that cannot be naturally found on the mainland. It is popular among nature lovers and outdoor enthusiasts who want to discover the many wonders of the granite island away from the city. Put on those hiking boots and trek your way through six distinct ecosystems and enjoy the rustic kampong days. If you are tired after your hike, you will be glad to know that there are bike rental shops to pick up a mountain bike from and explore Pulau Ubin where there are paved cycling routes and trails for your leisure exploration.